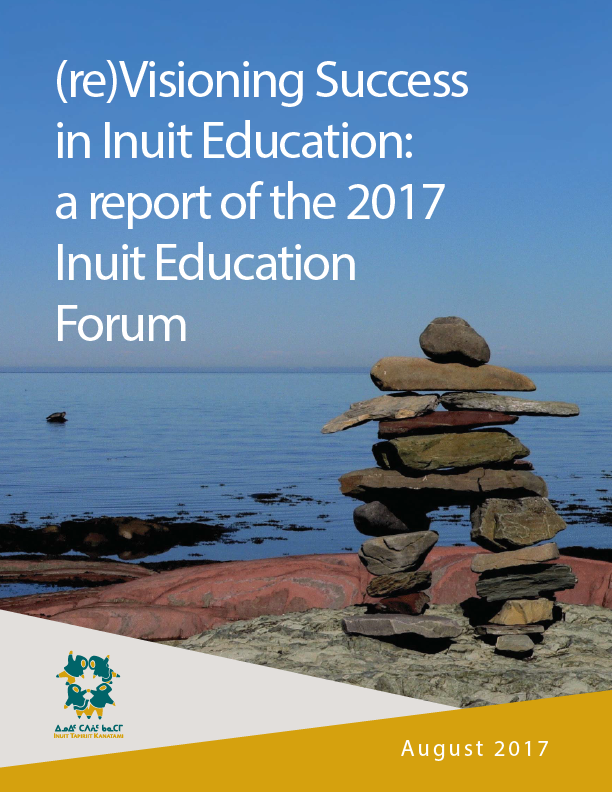 Over the last year, the research project entitled “Foundations for Student Persistence and Success in Inuit Nunangat” has been working to address the question: what are the key factors contributing to the educational success of Inuit youth? This project involves university researchers and partner organizations including Inuit Tapiriit Kanatami’s Amaujaq National Centre for Inuit Education. To address the research question, a number of different methodologies, including a case study in each of the four Inuit regions, a scan of existing practices of assessment of student achievement, and interviews with Inuit post-secondary students to understand their K-12 experience and how it contributed to their educational success. Decision-making in schools should be shared to a greater extent as in traditional Inuit culture. To ensure a larger proportion of teachers are Inuit or long-term northerners, there is a need for an expansion of community-based teacher training programs and reforms in how teachers are hired. Improvements are needed in the working climate/culture of schools. An expansion of innovative efforts that support parents in their interactions with schools is needed. Culturally-relevant curricula should be further developed across Inuit Nunangat. Land-based activities are seen as critical to ensuring culturally-relevant schooling in each region. A greater proportion of class time should be devoted to Inuktitut instruction. Schools in small communities need all the supports – for both students and teachers – that schools in large communities have in order for students to thrive. Educators need more frequent opportunities to gather with other educators from across Inuit Nunangat to share their experiences. The results shared in this paper echo decades of calls for Inuit control of a truly Inuit education system in which Inuit ways of knowing, being, and doing are reflected and celebrated, in which Inuit act as leaders, and in which Inuit students succeed.